I have this spaghetti sauce recipe that I've developed over the years. I'm actually quite proud of it and it's been a family fav. 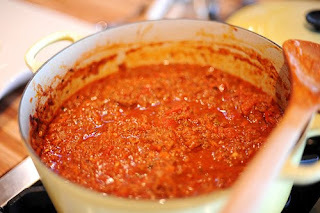 A couple months back, I happened upon Pastor Ryan's Bolognese Sauce over on Pioneer Woman's blog. This sauce is so divine (pardon my little pun), that I think I am officially retiring my sauce in exchange for his. If you are looking for a hearty winter fare, please try this sauce. You will love it. And on a completely different subject, do we have any Project Runway fans out there? Who do you think is going to win this season? 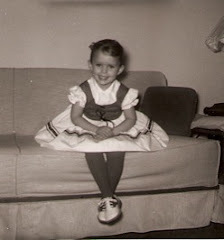 Althea, Irina or Carol Hannah? (Yes, Irina is a #itch...but she does have talent.) I'm curious what you think. Big Project Runway fan here, but haven't seen all the episodes for this season because of the change to Lifetime channel. Thursday nights, right? If I remember correctly, Pastor Ryan is also quite divine. Mom is a HUGE Project Runway fan! Thanks for posting this, it looks pretty yummy. I haven't watched the PRunway but my daughter seems to have taken a liking to it. Just from that photo, I can almost taste that! I'm going to try this recipe!! It looks like a nice way to hide a LOT of carrots too!